The Diocese of Brooklyn and DeSales Media are building a community of prayer that starts with your prayers for one another. The Sister Servants of the Lord and the Virgin of Matará, a contemplative order of nuns cloistered in Borough Park, Brooklyn, will be praying for all intentions submitted via our site from 5:45 am until 10:00 pm every day. 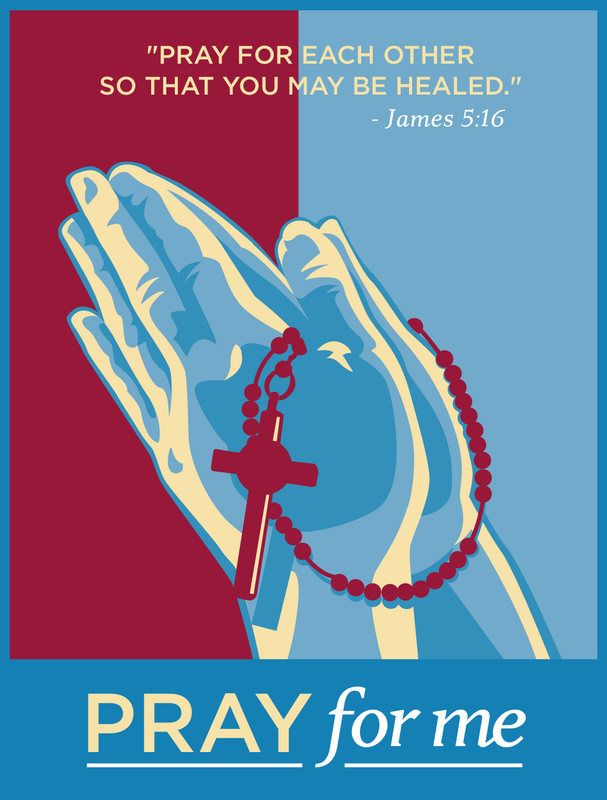 You may also choose to have your prayer displayed on this page, so that others may pray with you. We also encourage visitors to our site to pray for the intentions of others. If you choose to have your prayer shared online, the prayer requests will appear on the right of the screen. If you choose to pray for another person, read the list of intentions, select one and click the “I prayed for you” box to the far right. Remember, the power of prayer changes lives. “Pray for each other so that you may be healed. The prayer of a righteous person is powerful and effective.” (James 5:16) No matter what you may be going through today, know that the moment you pray, God hears you! You can also help support the mission of the nuns at the Monastery of the Precious Blood. Email this intention to the person I am praying for. Display my prayer on this page, so community members can pray for me. Please be respectful in the intentions that you post. Prayer requests that include offensive or inappropriate language will be removed. If you would like to speak with a priest or join us for worship, click here to locate a parish near you in Brooklyn or Queens. If you feel that you may be a danger to yourself or to others, please call the National Suicide Prevention Lifeline 24/7 at 800-273-TALK (8255), visit their website or call 911. Enter the sum of the numbers below to help us fight spam. Looks like all the current prayer requests have been fulfilled. Check back later when more are available.